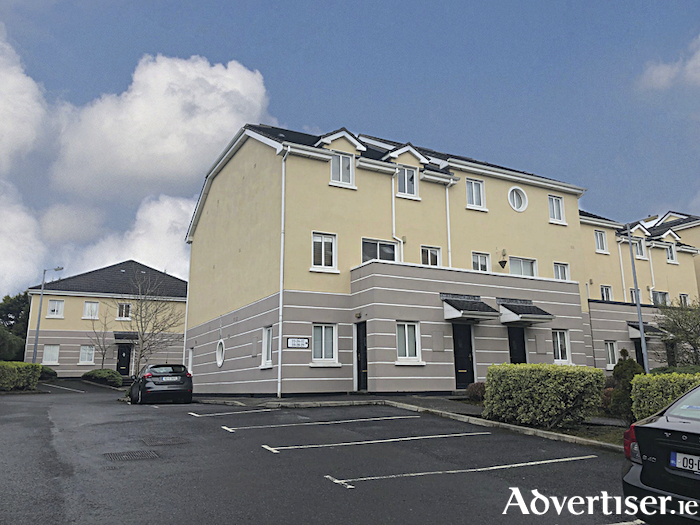 O'Donnellan and Joyce is offering for sale by private treaty a wonderful three bed ground floor apartment located just off College Road, Galway. The property is in the development of Gleann Noinin which was built by premier builder Purcell construction approximately 21 years ago. Gleann Noinin is perfectly positioned close to the Galway Sportsground, Wellpark Retail Centre, The g Hotel, and the Huntsman Bar & restuarant. The property is just a stone's throw from Eyre Square and the city centre. This quiet and popular residential area enjoys a convenient location ideal for modern living with all of Galway's amenities and services on the doorstep. No 22 Gleann Noinin is presented in great condition with an entrance hallway leading to an open plan living/dining room. An open archway leads into the well equipped galley style kitchen. The sleeping accommodation comprises three bedrooms, two double and one single, with the master bedroom en suite. The main bathroom completes the accommodation in this lovely apartment. This property would be an ideal owner occupier residence or gilt edged investment property due to its close proximity to Galway city centre and the main train/bus stations just off Eyre Square. The property also allows for ease of access to any part of the city or county via an excellent road and public transport network. Attractively priced, this property is a must view and certainly will not disappoint. The BER is D1. Asking price is €210,000.